Writing an exam story can be a stressful experience. What does a top-grade piece of creative writing look like? How do you decide what to include and what to leave out? Should your piece have an introduction and should you include dialogue? How many adjectives should you use – and what about similes and metaphors? 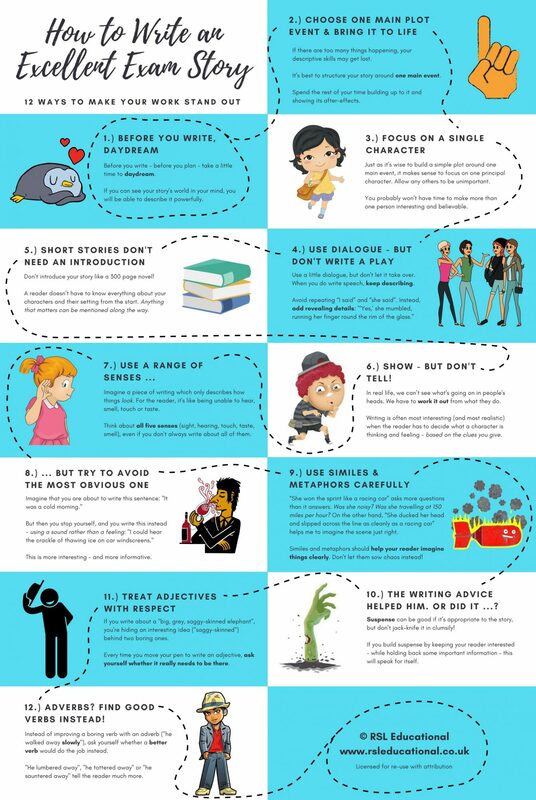 This infographic, based on RSL Educational’s creative writing guide, offers 12 simple answers to these questions and more.